Dr Jack Madden is a specialist anaesthetist who joined the Hobart Anaesthetic Group in 2017. He graduated from University of Tasmania in 2009, and completed his specialist training in Tasmania and Victoria. 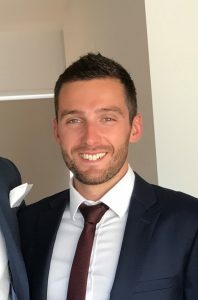 Jack undertook his fellowship training at the Royal Melbourne Hospital and The Austin Hospital, with a focus on trauma, neuroanaesthesia, thoracic and head & neck surgery. He has a special interest in neuroanaesthesia, regional anaesthesia (ultrasound guided nerve blocks) and clinical teaching. Outside of work, Jack is usually enjoying the Tasmanian outdoors.